Photos or video. You can take photos or video, but you’ll want shots of entire rooms and close-ups of items such as electronics, jewelry, collectibles, guns and any individual items of significant value. It’s a good idea if you’re using video to provide a narration as you walk through each room, explaining what you are recording. A written inventory. You’ll also want to prepare a written inventory of your belongings. You can create a Word document on your computer or use a blank sheet of paper or a worksheet like this one from the National Association of Realtors. Keep your written inventory with receipts for items you’ve purchased. Safe storage. If you have a fireproof safe, keep both your visual and written inventories there or in another safe place. You also may want to keep a copy off-site as well, in a safe-deposit box or with a trusted friend or family member. If your written and visual inventory is saved electronically, make sure it’s backed up. Having a home inventory makes surviving and dealing with a home disaster a lot less stressful. Could you imagine trying to recount every single item in your home that was damaged, destroyed or stolen? With a home inventory, you’re more ready for the unexpected. Your credit score has more of an impact on your monthly mortgage payment than you might think. Generally, the higher your score, the lower the mortgage you may be able to qualify for. And the lower your credit score, the higher your mortgage rate. Credit-scoring company Fair Isaac Corp. has an example: A home buyer with a credit score between 760 and 850 who qualifies for an annual percentage rate (APR) of 4.258 percent would pay $1,477 per month in principal and interest on a 30-year fixed-rate home loan of $300,000. The same borrower, but with a credit score of 700 to 759, would qualify for a higher APR of 4.48 percent and have a higher monthly payment of $1,516, while a borrower with a credit score of under 640 could have an APR as high as 5.847 percent, or a monthly payment of nearly $1,769 per month. Your mortgage rate depends on a number of factors beyond your credit score, of course. Your monthly payment can vary depending on how much of a down payment you can make, whether you’re purchasing a primary residence or second home, and the type and term of your mortgage. Check your credit report. 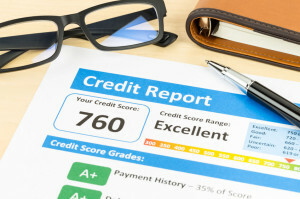 Your credit score is based on information contained in your credit report. Many reports contain errors. You can order a free copy of your credit report by going to this link. Request that any inaccuracies be corrected. Make payments on time. Whether it’s your rent payment, your student loan payment, your credit card payment or any other monthly obligation you have, making payments on time is one of the most important things you can do to raise your credit score over time. Pay down your debts. Using only a portion of the credit that is available to you can help raise your credit score. Likewise, using all or most of your available credit can lower your score. What types of things should you fix before you list your home? When it comes time to sell your home, you’ll need to decide which types of repairs and improvements you’ll want to make before it’s listed for sale. Should you update your kitchen? Apply fresh paint to the living room? Plant flowers? Clean or replace your worn carpet? Your real estate agent can help you determine which repairs may be the most important in appealing to the most prospective home buyers. In general, many buyers don’t like buying a home that has a number of small maintenance problems, such as leaky faucets or a hole in a wall that needs to be patched with drywall. 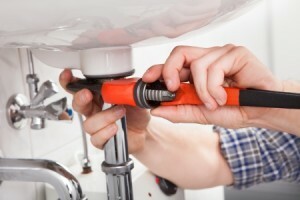 A number of repair issues may make prospective buyers wonder what else is wrong with your home. That’s why in many cases, you may want to consider addressing these types of issues when you’re getting your property ready to sell. Many buyers make offers contingent upon an inspection, so you may be asked to fix some maintenance issues anyway. Larger issues, such as a furnace or roof that needs replacement, can make for a tougher decision. You may get only a portion of the investment in a large repair or renovation back when you actually sell your property. For information on the typical return on investment for renovation projects, check out Remodeling Magazine’s Cost vs. Value report. And don’t forget: If you’re thinking of work that involves flooring or paint, don’t pick the colors and materials that you like; you’re moving! Make sure your upgrades are neutral and appealing to the greatest number of buyers. Your agent can give you a good idea of what type of flooring, cabinetry, paint and other upgrades are the most popular with home buyers right now. Should you continue to rent, or is it time to buy? Should you continue to rent or is it time to buy? Generally, the more time you plan to live in a home, the more sense it makes to buy. If you have just moved to a community, renting — at least initially — may be a better option as you get to know different neighborhoods. Another factor: your job. How stable is your employment? Buying could make more sense right now if you aren’t thinking about switching jobs, your employer is not reducing its workforce, or if your company isn’t planning to move you to a different city or state. Another way to evaluate the rent-versus-buy decision is the U.S. Breakeven Horizon, compiled by real estate website Zillow.com. This analysis is designed to provide an estimated number of years one needs to live in a home for buying to make more sense than renting. Factors such as expected growth in rents and home values, price-to-rent ratios, and mortgage interest rates are included in the analysis. For a look at the Breakeven Horizon in the area you are thinking of buying, go to this link. While interest rates aren’t quite as low as they were at the end of 2012, for example, they are still quite favorable. Take a look at average mortgage rates since 1971 and you’ll see that rates are slowly increasing, so locking in a favorable rate now may be a great strategy for you if you’re already considering buying a home. Lower mortgage rates help families stretch their home buying dollars. 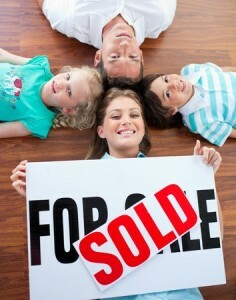 Do you have questions about whether buying a home is the right choice for you and your family? We’re here to help! Make sure your yard is tidy. 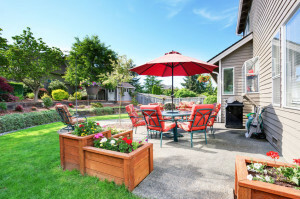 While you’ve probably already given your home a thorough spring cleaning, concentrate on the outdoor spaces that prospective buyers will be eyeing. Be sure to keep your lawn mowed, trees trimmed and your yard free of weeds. Get rid of clutter both inside and outside of your home to give it a fresh look. If you can’t hide unsightly items, consider stashing them in a garage, or renting a storage unit while showing your home. Flowers are always nice. Invest in some affordable annual flowers to plant in and around your yard. Choose bright colors that pop and complement your existing landscaping. Hanging flower baskets and ready-made potted plants are small additions that can make a big impact on your home’s curb appeal. Create an outdoor dining area. Can prospective buyers piture themselves hosting family barbecues or dining privately under the stars? Organize an area with outdoor seating and a place to grill or serve meals. Investing in a few lounge chairs and an umbrella can create an instant outdoor oasis. Set the stage for summer. Finally, bring the outdoors in with a splash of summer décor. Change out pillows and linens for a beach theme, add summer-scented candles, and accent your furniture with cheerful indoor plants and flowers. Keep the indoor temperature cool — no one wants to tour a hot and stuffy house.